Approximately three quarters of the estimated seven to nine million Americans living abroad aren’t currently filing a federal tax return. Seeing as all American citizens and green card holders who earn over $10,000 (or just $400 of they’re self-employed) are required by law to file a federal return declaring their worldwide income, no matter where in the world they live, the IRS is understandably keen to track down the individuals who aren’t currently filing and ask them why. 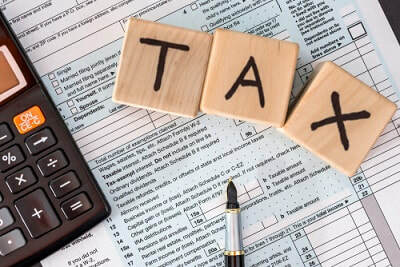 The reality is that the majority of expats not currently filing either aren’t aware of their obligation to file, perhaps because they are filing and paying taxes in another country, or they assume that the IRS can’t or won’t track them down. The IRS shares taxpayer information with most foreign governments though, as well as compelling most foreign banks (currently over 197,000 financial institutions worldwide) to share their US account holder data. Thankfully there’s a voluntary disclosure program called the Streamlined Procedure that allows expats who weren’t aware they had to file to catch up with their filing without facing penalties. Filing taxes as an American living abroad is more complex than when you live in the States though, so many expats choose to use an expat tax specialist firm to help them. But why should you choose Bright!Tax to prepare your US expat tax return? 1 – US expat tax is all we do, and we are very good at it. We know the ins and outs of expat taxes like the backs of our hands. We have thousands of clients in over 150 countries worldwide. Our team of full-time American CPAs is working full time all day every day preparing US expat tax returns, in small, accountable groups. 2 – Bank-grade security, everything online, American CPAs, affordable fees. Our proprietary, secure online infrastructure is designed to make life as easy as possible for our clients, while also allowing us to keep our fees affordable. We have had clients come to us who have had high-four-figure quotes from large firms for work that we charge just a few hundred dollars for. All our accountants meanwhile are American CPAs, who are much better qualified than the Enrolled Agents that some other firms use, and many of them are also MBAs. We have perfected making the filing process as straightforward and stress-free as possible for you the client at every stage. For example, when you start your return with us you fill in a quick, easy 1-page Client Questionnaire, compared with our competitors’ 14- or 15-page equivalents. (Our questionnaire is shorter as we pull information from your foreign tax return and other documents for you). It’s the same at every stage of the process, and we are constantly looking for new ways to make your filing experience with us as simple and straightforward as possible. We care about you and your filing experience. It makes sense for us to, as if you are happy you’ll come back next year! Either your Project Coordinator or Lead CPA are always available to communicate with you if you have any questions, in whatever way you prefer, whether by phone, email, Skype, or instant messenger. Again, compare this to some of our competitors, who once you have signed up often have an ’email only’ policy, so that you hear back from them when its convenient for them rather than when its convenient for you. With Bright!Tax, you can communicate with us whenever you want to. It’s the details that matter, and when you add them together we are sure you will find that Bright!Tax offers the best combination of service and value possible.